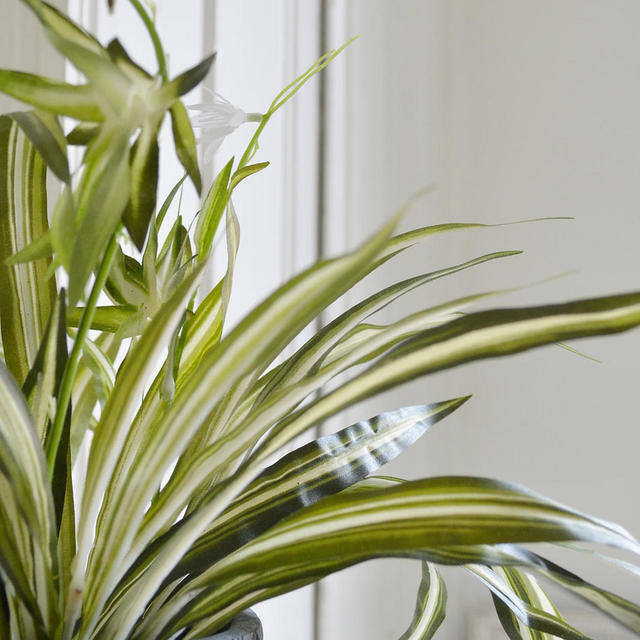 This lovely faux hanging spider plant is perfect for dark corners, or if you have problems remembering to feed and water your indoor houseplants. 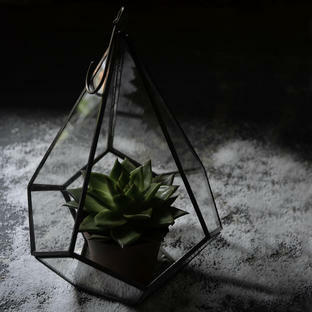 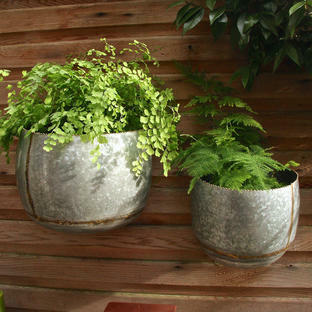 A simply pop them in a planter, and just remember to dust from time to time. 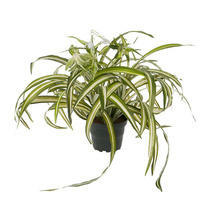 Shown here in the Palm leaf pot. 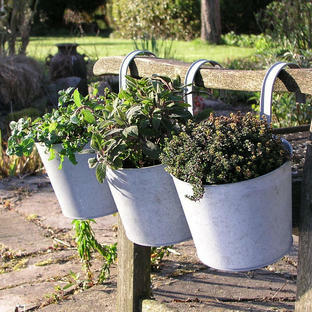 Try with hanging planters such as these vintage style hanging planters. 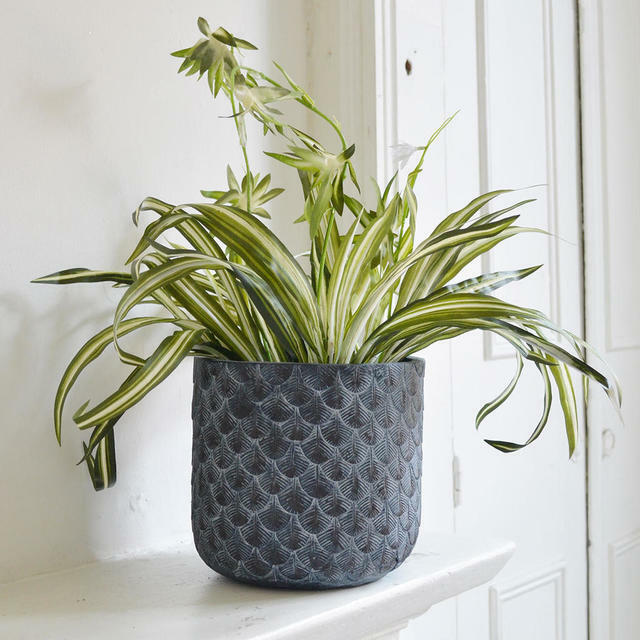 In its own black plant pot.